Determining if Sentinel-1 orbit is ascending or descending from absolute orbit number? Is there any way to quickly find out whether the orbit was ascending or descending from the absolute orbit number? For the quick and dirty way to find out if it is ascending or descending, it is easier to look at the start (or end) time. For instance, in Belgium, you get the ascending images at around 5 PM and the descending ones at around 6 AM. So, in the string YYYYMMDDTHHMMSS, if the first H is 1, I know for sure that the image has been taken on an ascending orbit. The time is in GMT, so you need to adjust it based on the timelines if you are not at the same longitude. 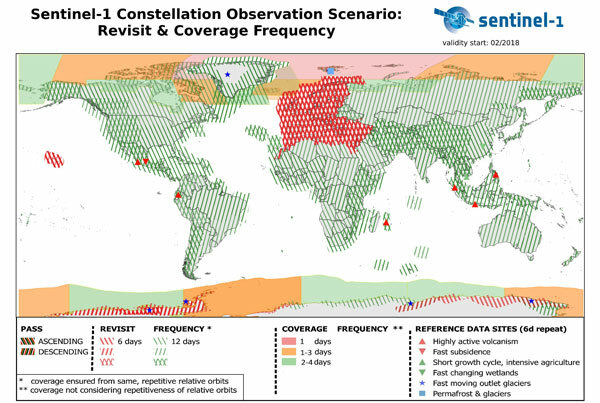 EDIT: if you know roughly where you are, some regions have specific acquisition plans with ascending only, descinding only or both, as you can see from the image below from ESA sentinel website, valid since february 2018. You can't get ascending or descending from the orbit number alone: One relative orbit aka "path" on https://vertex.daac.asf.alaska.edu can be both ascending and descending. 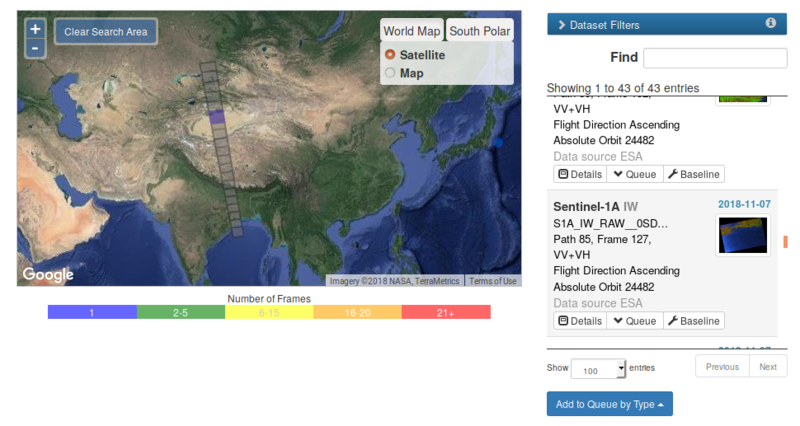 Below are screenshots from the ASF website of path 85 on the same day: first ascending, then descending. While I'd also really like a way to look at the filename and get asc/desc, it might require some extra ad-hoc ways to look at the orbit and time of acquisition (like mentioned above) to get the direction. I was also looking for the answer for a long time, then finally decided to download a bunch of the .xml info files for some paths to find the pattern. I saw that each path had both ascending paths and descending- I guess ESA labels one full polar revolution of the satellite around Earth as an absolute orbit path, so that once it goes over the north pole (maybe south pole?) the orbit number is the same but direction flips from ascending to descending. Not the answer you're looking for? 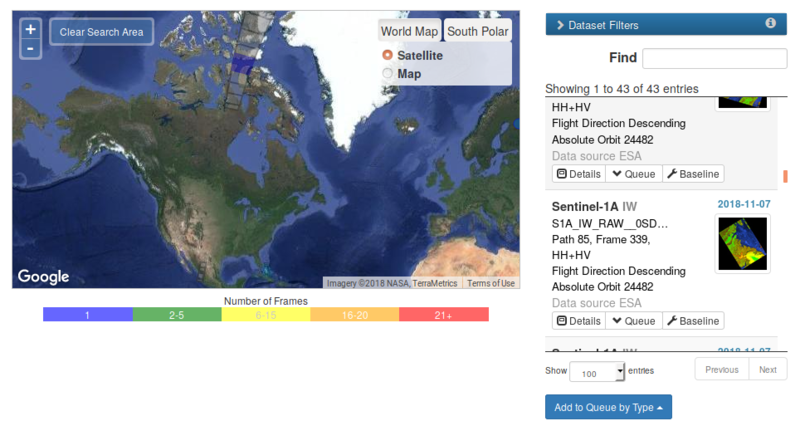 Browse other questions tagged satellite sentinel-1 synthetic-aperture-radar copernicus or ask your own question. How to get latest picture of my city from sentinel 2? Are there absolute minimum or maximum values for Sentinel-1 GRD images?